On November 13, 2018, the final event for the Cross-Mentoring Program 2018 of the Network Human Resources took place. Both managing directors of the Linz Center of Mechatronics GmbH (LCM), Mr. DI Gerald Schatz and Mr. DI Dr. med. Johann Hoffelner, have participated in the program as mentors. The mentees, DI Paula Reimer and DI Barbara Hartl, report on intensive discussions and exciting encounters during the 7 months of the program. At the closing ceremony, the certificates were handed over to mentees, mentors and companies. 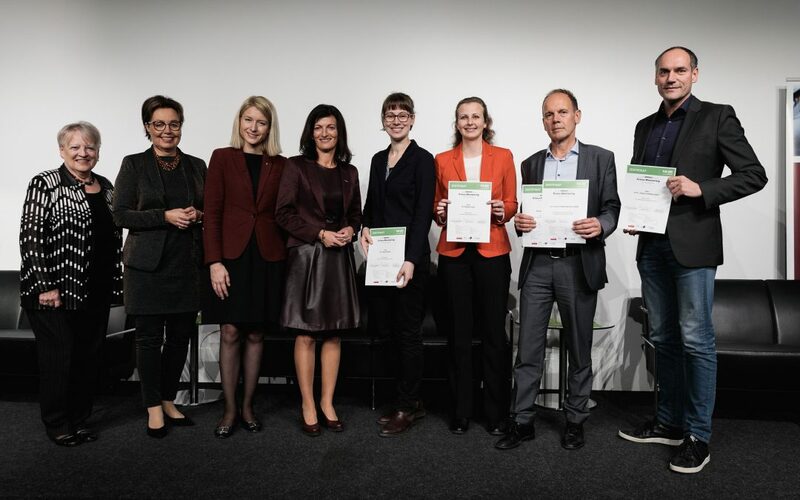 For years, the Linz Center of Mechatronics GmbH (LCM) has been campaigning specifically for promoting women, especially in the technical field. “It is important to us to get women interested in technology and to offer you the same career opportunities as men,” says Mag. Gerda Klammer, Human Resource Manager LCM. The measures range from targeted admission of interns and diploma students as a start in the career as a researcher & developer, to the active approach of female talent at career fairs, as well as the offer of flexitime and childcare options. Also in 2019, LCM will participate in the cross-mentoring program.